The meeting was called to order at TBonz Restaurant in Myrtle Beach, SC., by Tom Hendrickson. Tom provided a copy of the 20018/2019 Strategic Plan for the chapter and a contact sheet for all current board members. Tom stated the chapter support of Toys for Tots would begin October 27 at the Penn State vs. Iowa game viewing. He added that Charlie Glazer arranged for Tom and Steve Cotillion to appear on the local TV show Carolina and Company Live hosted by, Cecil Chandler, on November 2, 2018, to advertise the chapter’s participation in Toys for Tots and drum up support for our other 3 other local charities as well as THON. Tom Hendrickson confirmed the chapter had received an email verifying the chapter achieved the Laurel Level of distinction for the past year and reiterated part of the strategic plan would be to continue to achieve that level of distinction for this year. Mark Johnson presented the Treasurer’s Report as of October 17, 2018 via a spreadsheet listing all expenditures and receipts. End balance as of 10/17/18 was $5,376.59 for the checking account and $3,906.92 for the savings account for a total of $9,283.51. The treasurer’s report was accepted by all members in attendance. Steve Cotillion summarized the progress with chapter communications via the chapter website and periodic membership communications. Steve has enlisted the assistance of our intern, Alex Frole a current PSU student, to assist in maintaining the website. Board members discussed having the ability of archiving, for a period, some things on the website such a photos posted of chapter events, etc. Steve said there has been some issue with getting the chapter email blasts to all members due to technical problems that he and intern, Alex Frole are in the process of determining a solution. It is suspected that some recipients email account may have security software installed that is recognizing the chapter blasts as spam. He may initiate rebuilding the mailing list with Alex’s assistance. He will also enlist Alex to find someone interested in replacing her when she graduates. 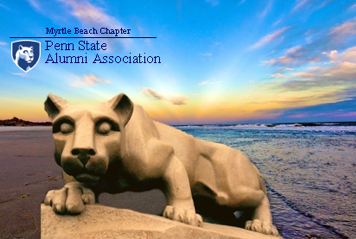 The Chapter continues to email weekly updates and informational notes to a group of 402 members and non-member alumni who live in the region. The website will continue to provide links to some significant articles about Penn State sports teams, Penn State related news and GOPSUSPORTS. Membership emphasis will continue in achieving 200 paid chapter members. Paid membership increased to approximately 160+ members primarily due to many members renewing their memberships at the football game viewing events at Milardo’s. Debbie Banzhoff summarized her activities since the last meeting. She has made contact with representatives of the charities supported in the past by the chapter, (Tara Hall, Back Pack Buddie/Help4Kidss, Toys for Tots, Jason’s House and THON). She mentioned Help4Kids could use volunteers for families and kids affected by the recent storms and is requesting donations of personal hygiene items as well as non-perishable food. Jason’s House appreciated the volunteers who helped with welcoming the families of the children they support during their visits to the Myrtle Beach area this year and look forward to our continued support. Training for those wishing to volunteer in 2019 will be held in May 2019. They anticipate hosting 70 families of children with serious illnesses in June, July and August of 2019. Tara Hall will be holding a concert event and paddle fest on April 26 and 27, 2019 and would appreciate anyone who would volunteer to assist at the events. Opportunities for volunteer support for these charities will continue to be listed on the website and in weekly blasts to members. Debbie presented literature for possible addition to the charities supported by the chapter, New Directions, a Shelter for Men. Women and Families that lists its mission as helping the homeless in crisis. In 2017 they provided 1,032 homeless men, women and children with over 63,000 bed nights in their Horry County shelters. Discussion involved the efficacy of adding another charity to the chapters’ existing commitments. The matter would be taken under advisement by the Board. Steve Cotillion mentioned that intern Alex Frole is participating in THON this year and is looking for support. The Board decided we would sponsor her in THON in conjunction with the Chapter’s previous commitment to THON as the chapter would be effectively be credited with THON sponsoring her. Paula Brown briefed the Board on the events planned by the social committee as well as for Chapter alumni association clothing that will be available for sale. Clothing item sales have increased with the start of the football season and has increasingly contributed to chapter fundraising. Viewing parties continued for each Penn State Football game this season at Milardo’s Pizzeria and Sports Pub, Murrells Inlet, SC starting September 1, 2018. A discussion was held about possibly combining the chapter dinner and chapter picnic into one event. Since both events are usually attended by many of the same members it was suggested a speaker could be provided at the picnic in a less formal setting than where dinners were held in the past. Since both the dinner and the picnic were held at the clubhouse of the International Club Golf Course this past year it might be more cost effective and convenient to combine the events. Since membership expressed satisfaction with the site for both the dinner and picnic, Steve Griswold will contact the site to determine open dates between late April 2019 and early June 2019. A determination will be made at a later meeting regarding the adoption of this change. Mark Johnson and Ralph Waltman are pursuing possible speakers for the event. The golf committee suggested holding the event once again at the Hackler course and will try to establish a date for June 1 or 8, 2019.